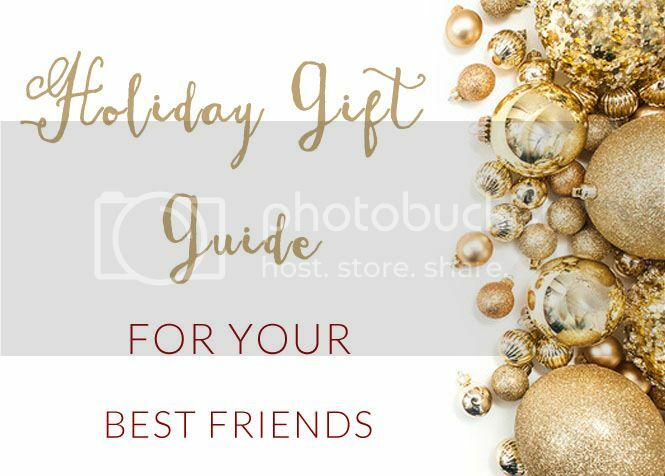 This gift guide will kick off one of my first series' of posts on my blog and I couldn't be more happy that this is the series to start with! My Holiday Gift List Series has officially begun - today with a list of things (ALL under $50!!) to buy for your best friends! Shopping for my friends is usually the easier of the bunch on my list to shop for, mostly because I can think about things I would love to receive and go from there. Gift giving can get pretty expensive, which is why all of these picks are under $50! The best part is these are all great choices and could all be paired together if you wanted to give one of your BFF's a couple of things. While treating your friends to a Starbucks gift card is something she'll no doubt love, wouldn't it be nice to change it up this year?! I love the idea of creating a little gift bag with a few things my friends will love, like this lip gloss for a beauty themed gift or a cute notebook set for your more organized friends. With blanket scarves being so popular this season, getting your girls a cute blanket scarf like this one or my absolute favorite scarf like this colorful and soft scarf is something she'll love and get lots of use out of this season too! Thanks so much for this, I'm really struggling this year with what to get my friends! Those earring and that eyeshadow pallete look so pretty, I may have to order them! These are great ideas! I especially love the Kate Spade card case. These are awesome gift ideas. Friends can be so tough to shop for. I love Diptyque candles so that would make a great gift for my bestie. I much prefer to give gifts instead of a Starbucks gift card too! I love the idea of a cute little gift bag! And you could personalize it for each of your friends. So cute! cute ideas! 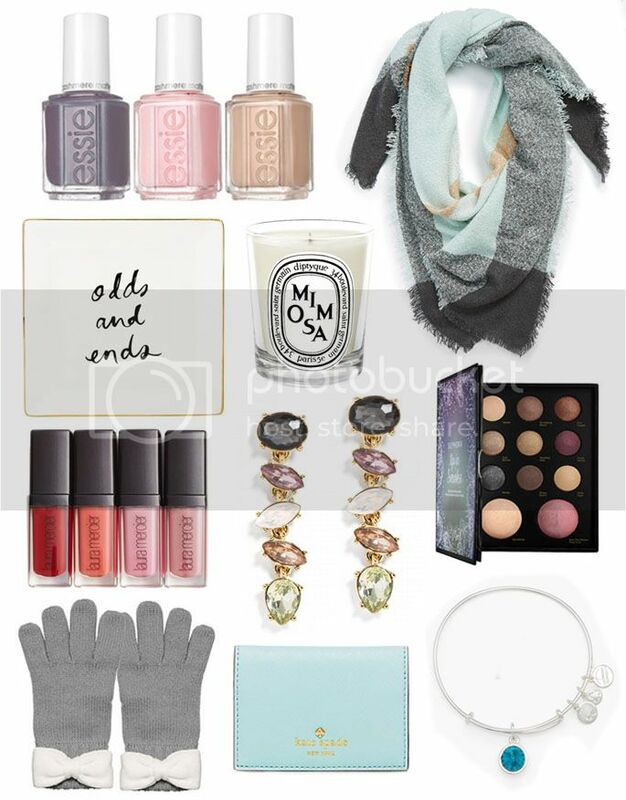 i love the kate spade wallet and nail polish! essie is just the best! Those are super cute and fun finds! Thanks for the great picks!! Love all of your picks girl! I love everything on this list! I may just have to add some of it to my Christmas list this year. Great picks! I <3 that eyeshadow palette! I've never bought any Sephora-brand makeup before, but those colors are just dreamy. Great find! I love the colours especially of the scarf and that wallet! These are great ideas! I've never bought any Sephora-brand makeup before, but those colors are just dreamy. Great find!